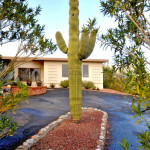 "Amazing results from the caring, meticulous staff at Body Fundamentals here in Tucson. They really pay attention to my progress and monitor my routine according to the strengths and weaknesses of my body. I feel full of hope as I feel my body completely restructuring in a powerful way. Wish I'd started with Body Fundamentals 20 years ago!" 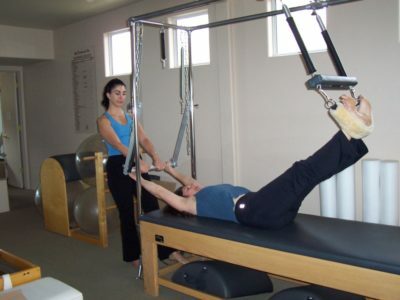 "I need to share some recent insights about my journey with Pilates. I have been practicing Pilates for almost 9 years. During this time I became aware of the wonderful physical benefits: Core strength, Increased stamina, Better posture, and flexibility. Body realignment Etc. etc. I had a total hip replacement a year and both Doctor and physical therapists were amazed at my quick recovery. I know this was due to my Pilates. I was back at Body Fundamentals within a month after surgery. On a more subtle note, in the last year, I have noticed the benefits of Pilates spill over to my piano playing and painting. There is a lot more looseness and flexibility in my arms and fingers. I attribute this to core strength and my ability to remove tension and stiffness from my neck and shoulder areas.... a fluidity I never had before. This is exactly what I try to do with my Pilates exercises. Transfer the tension and stress out of my neck and shoulders into my core. It really is remarkable and (I) need to share this information. Indeed, my journey with Pilates has been transformative in many ways." “Almost four years ago, I was diagnosed with Parkinson's Disease (P.D.) which "is an idiopathic, slowly progressive, degenerative central nervous system disorder characterized by slow and decreased movement, muscular rigidity, resting tremor, and postural instability." (1) My doctor reminded me that "still water freezes faster than running water" and advised that I keep active and as mobile as possible. Based upon her 10 year experience with Pilates, my wife suggested a program of Pilates, full body massage and a continuation of my golfing. As it turns out, I do each of these activities twice per week and have been doing so since my diagnosis with P.D. Of course my physician also prescribed a drug regimen which I take faithfully, as well as trying to avoid or minimize stress in daily living. This combined program seems to be producing good results. I generally feel good and remain very active. — Diana Bailey, NMT, Owner/Founder, Essential Motion Inc.
“Anyone who has experienced the Pilates program recognizes the genius of Joseph Pilates in developing a system of organized programs that balance and strengthen your body regardless of age or experience with the program. I began Pilates in the Chicago area, and when I moved to Tucson, I remained keenly interested in finding the best program. Though I have taken classes at other larger studios and exercise facilities, I am thoroughly impressed with the more unique and carefully crafted program at Body Fundamentals. Geneviève Nedder clearly customizes and organizes individualized programs that work with your own physique and body to address the concerns and areas that most critically impact one’s own body requirements. The ability to schedule and work at a pace that you are comfortable with ensures maximum success. Geneviève is not only an exceptional teacher but an expert in her field and "I am grateful to have participated in the “Learn to Manifest through Meditation” workshop this month. Geneviève introduced the group to simple tools and daily practices for intention setting and I learned how to practice moving past my intention to help manifest my deepest desires. The guided mantra meditation helped quiet my mind and I am confident that whatever obstacles I face in my daily life, I now have the tools to manage them with a new kind of knowledge and insight. Even if you are on the fence about meditation, I encourage EVERYONE to try a session with Geneviève at Body Fundamentals Inc. I look forward to my next session and to incorporating what I have learned for a healthier mind, body and soul."